I am heading out tonight to my very first overnight away from my little bug, to celebrate my dear friend Kat who is onto some new adventures. I realized that I have not updated on sleep training when my friend asked me about it this morning - it is going GREAT and I will be back with more details soon, but in the meantime, one of the biggest things is establishing a bedtime routine. 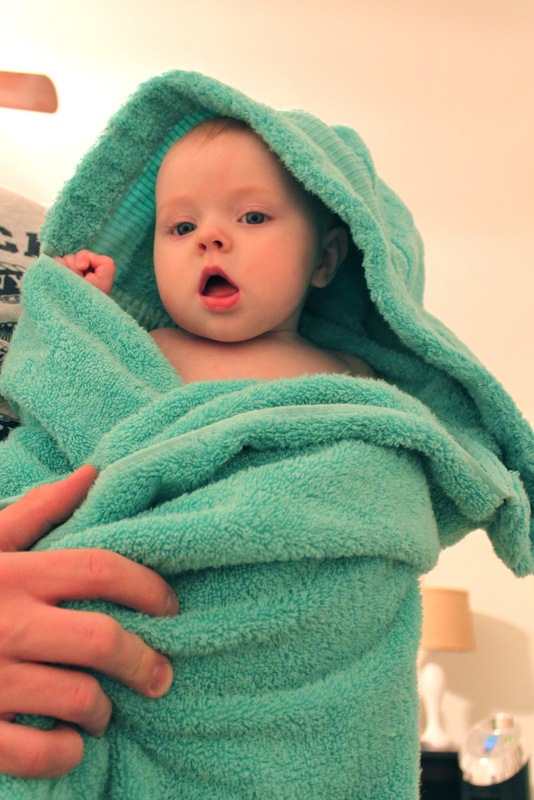 Part of our routine is bath time. And my girl looks so darn cute when bathing. but she's being nice and modest, so, here we are. 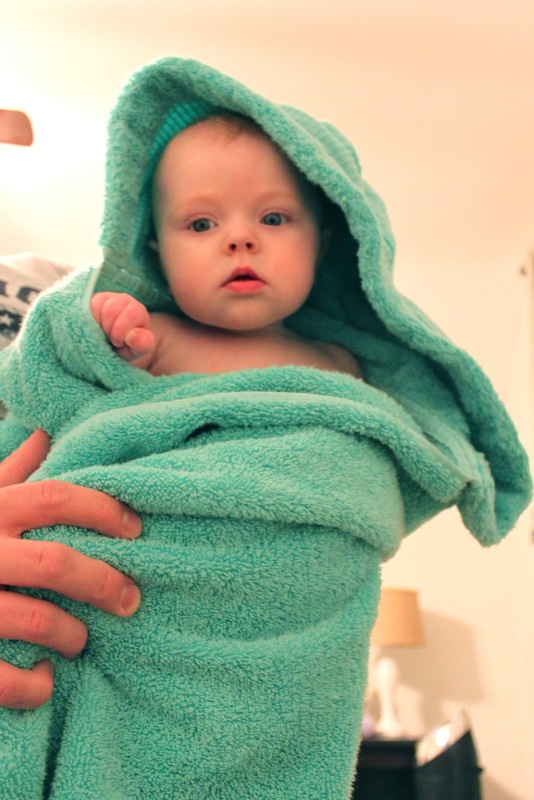 After bath, she gets all wrapped up in her hooded towel for some after bath snacking, and her dad usually hands her to me saying, "These are not the droids you are looking for." ...and I am half excited and half scared out of my mind to be away from my little love tonight. This is normal, right?